January 6! --Epiphany day or Día De Reyes! anything goes but must sparkle! 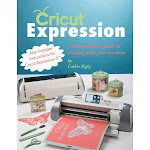 Supplies: Cricut E2, MS Seasonal Cake Art and Winter Lace cartridges. AC and Core'dinations card stock, BG Jovial PP and Imaginisce i-rock and hot rocks, Tim Holtz rosette die, Big Shot and Stamping Up top note die. I finished the 3 dimensional dot by adding MS fine glitter. November 26 - My daughter's tree all decorated! These two are the start of December -- I did some hand stitching with twine and spritz my letters with Perfect Pearls- perfect pearl by Ranger. I will be posting lots more pages tomorrow.